In this three day knife making class you will have the option to make one knife in either a sailor or hunting knife design. This course is designed to teach backyard beginners the skills to make a knife from beginning to end, with common and easily accessible tools. 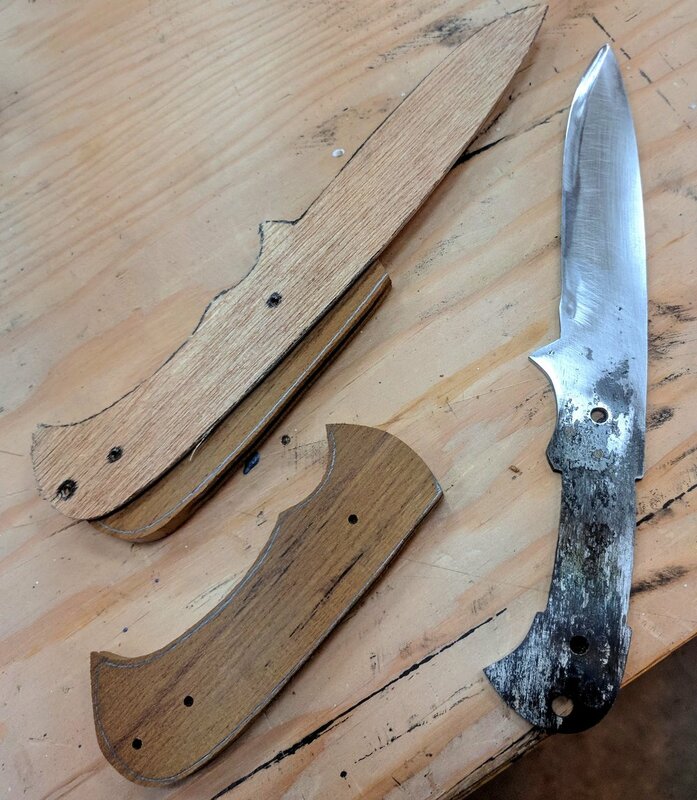 Topics that will be covered will include how to source and test reclaimed materials, cutting and shaping the metal, heat treating and tempering, attaching the handle, sharpening and maintaining the blade, as well as making a sheath to carry and protect the knife. Materials and tools: Some personal hand tools are needed. A student tool list will be provided with the registration package. The school will provide all materials and hand/power tools and machinery necessary, as well as a printed or PDF version of the course handouts.